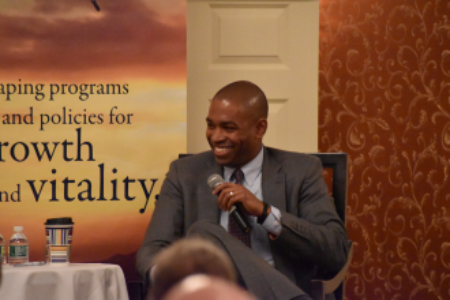 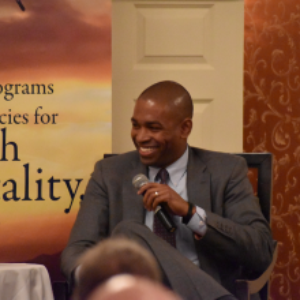 Rep. Antonio Delgado smiles as he listens to the question being posed. 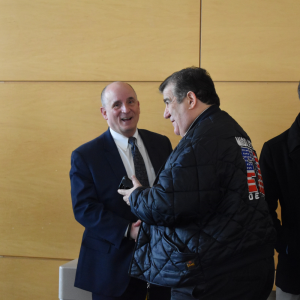 Orange County Deputy Executive Harry Porr and other guests networking before the discussion gets underway. 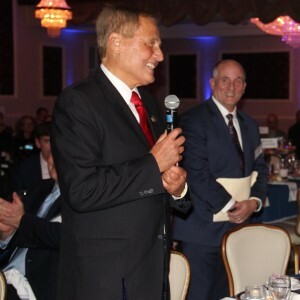 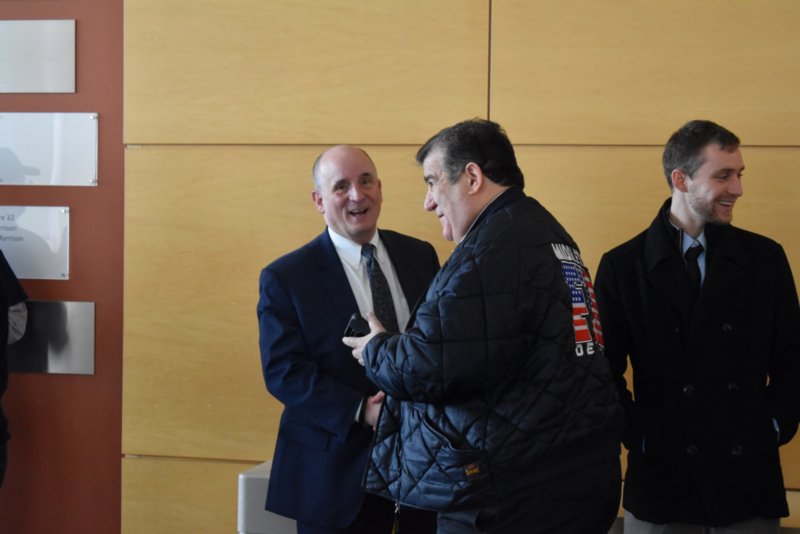 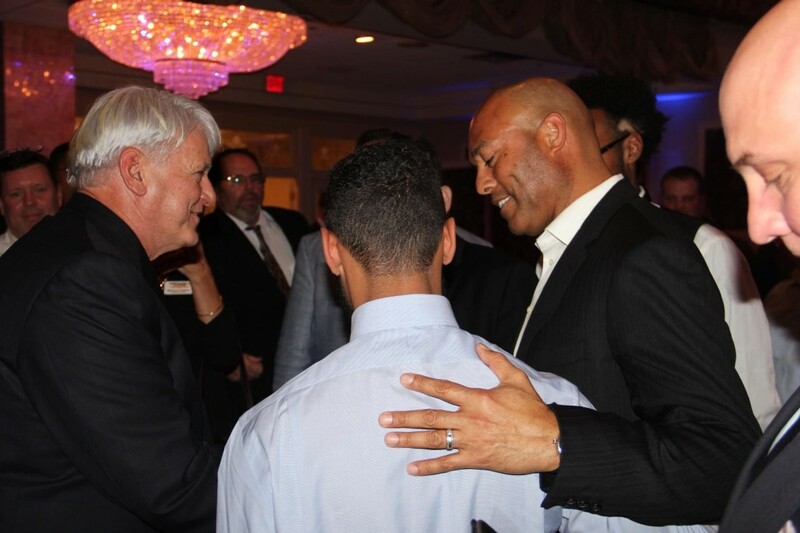 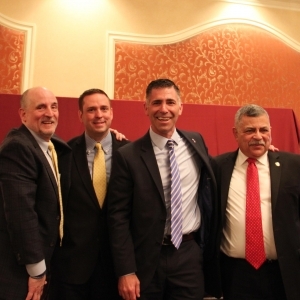 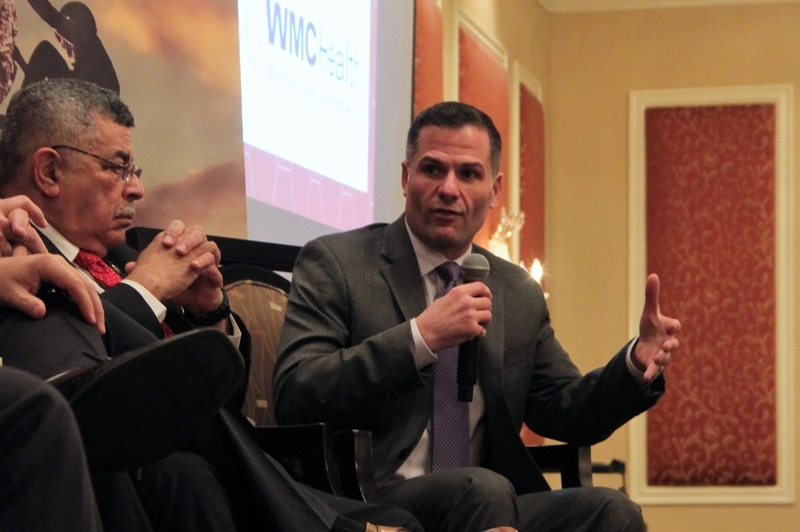 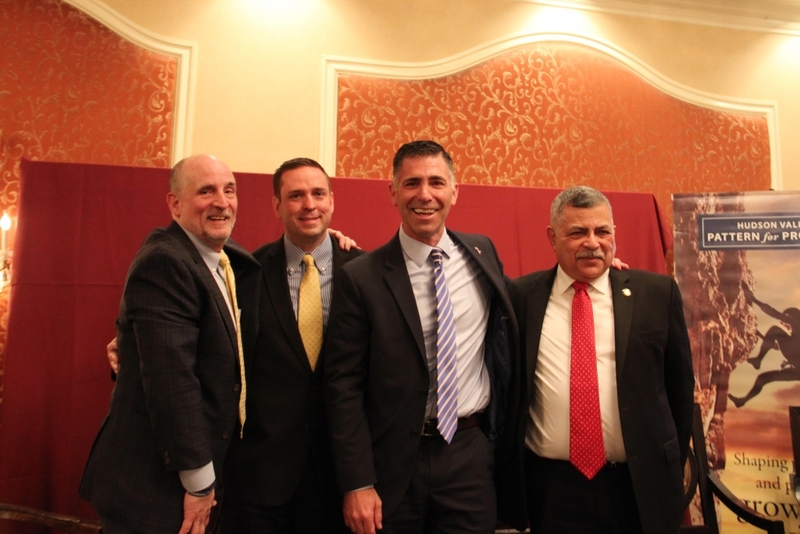 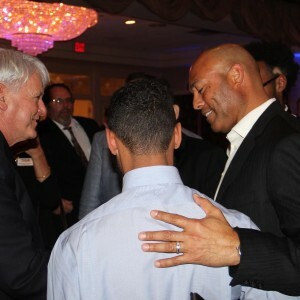 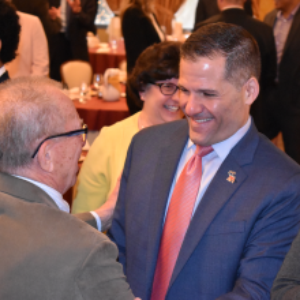 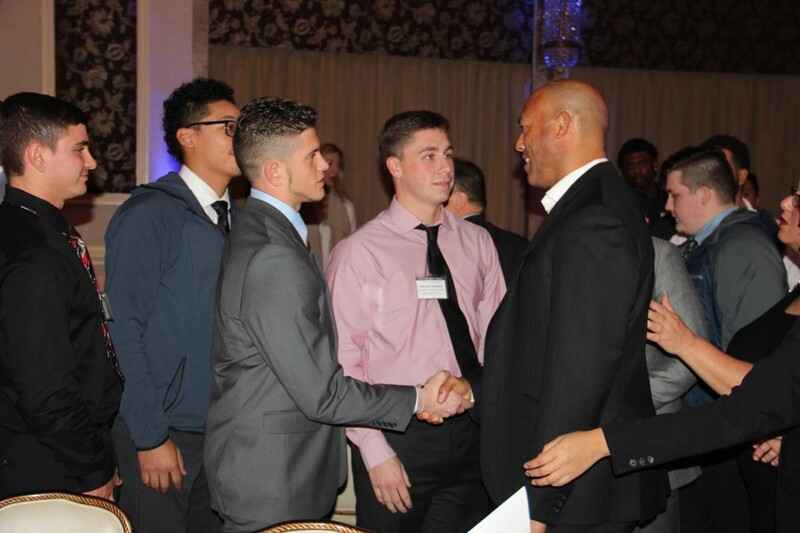 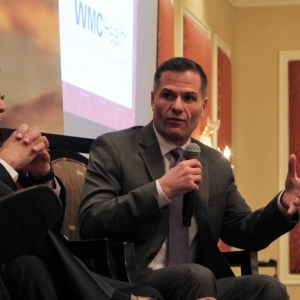 Dutchess County Executive Marcus Molinaro smiles as he talks with another Making the Connection guest. 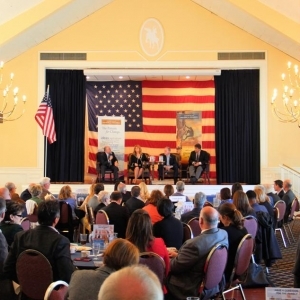 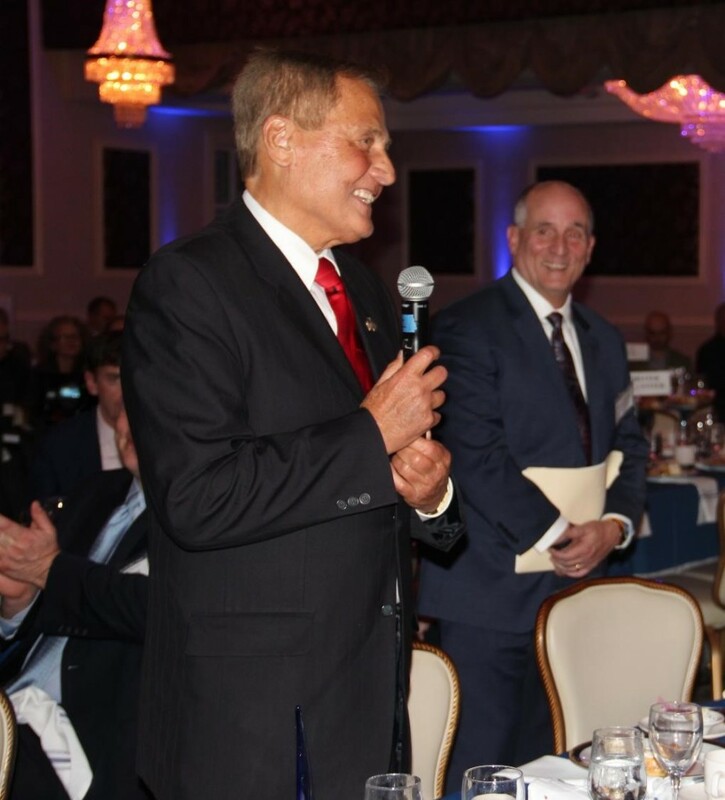 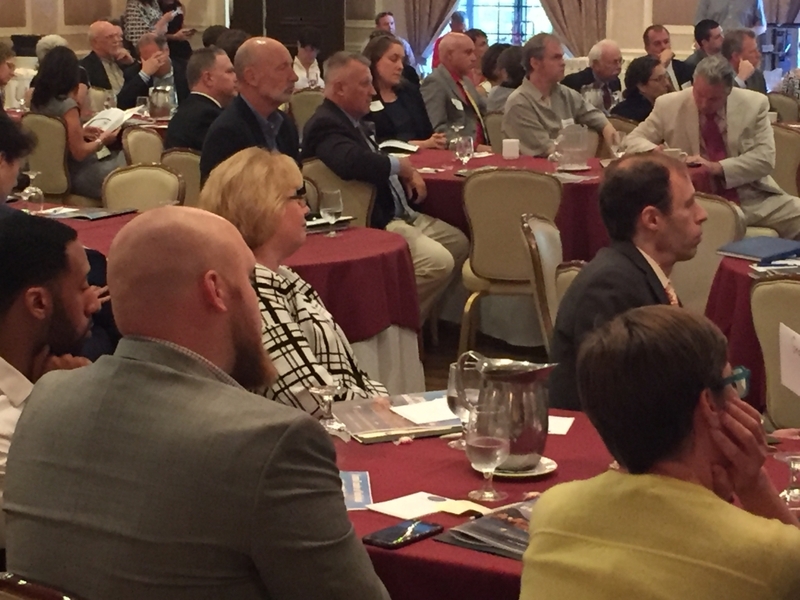 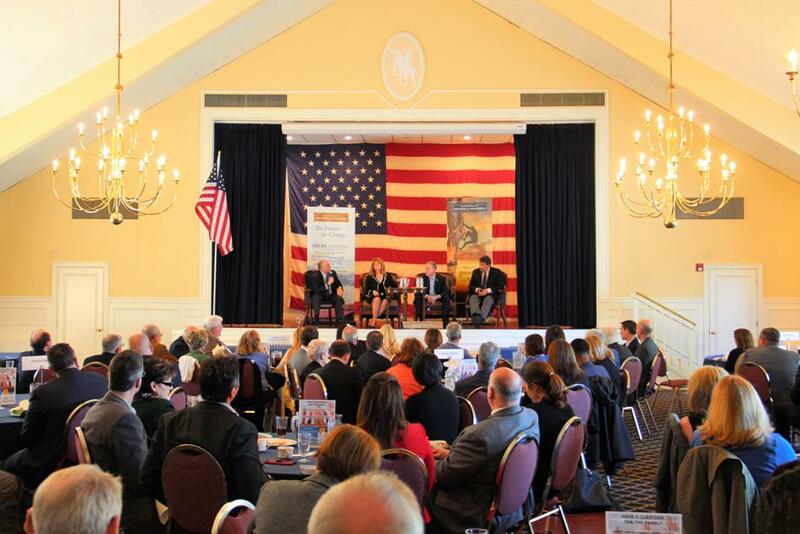 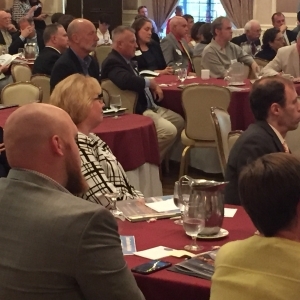 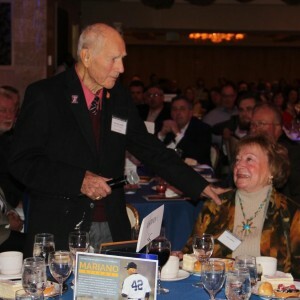 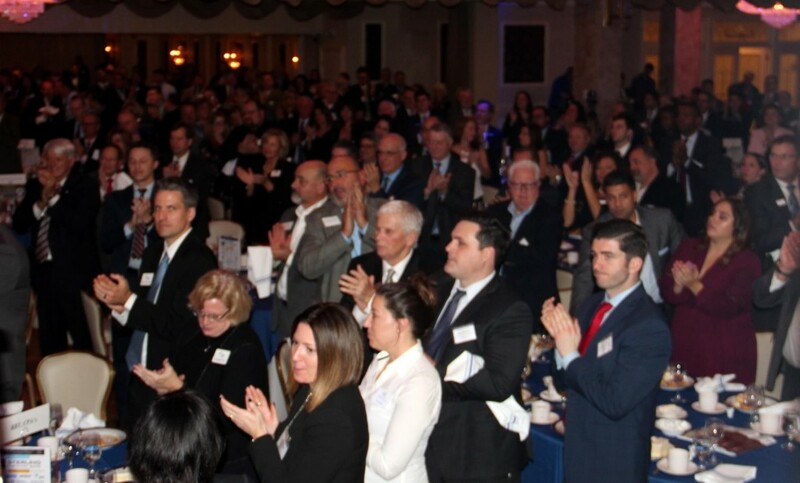 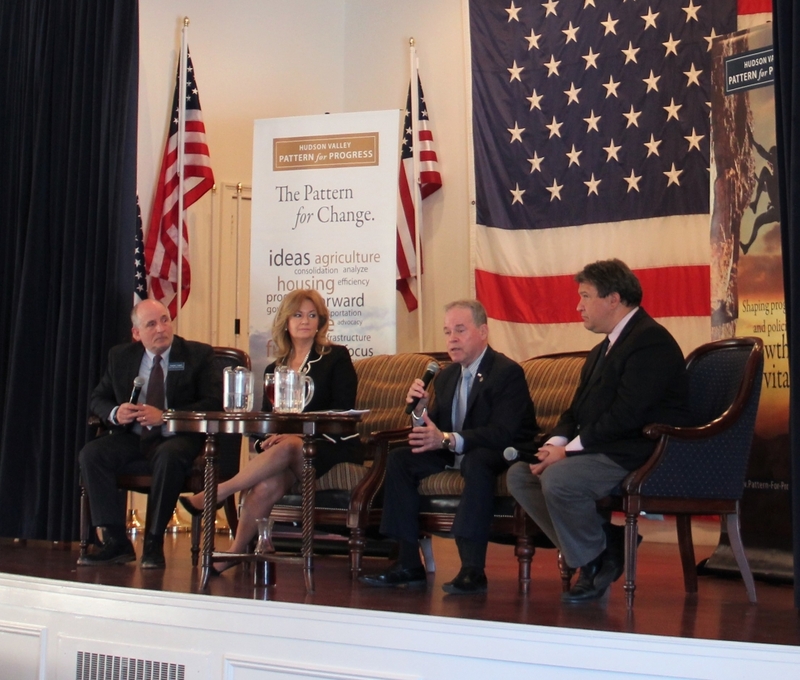 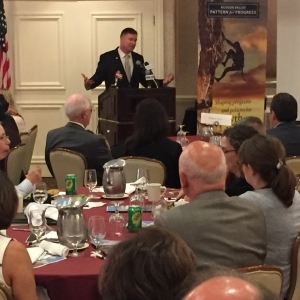 Rockland County Executive Ed Day speaks at the 2018 Southern County Leaders Event, along with Putnam County Executive Mary Ellen Odell and Westchester County Executive George Latimer. 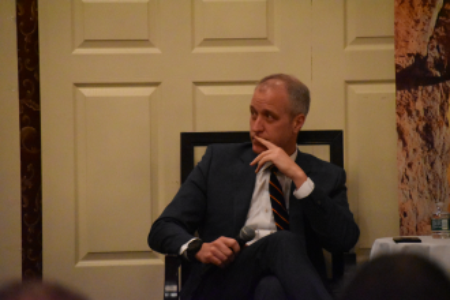 Pattern President & CEO Jonathan Drapkin moderated the event. 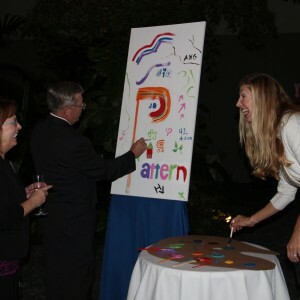 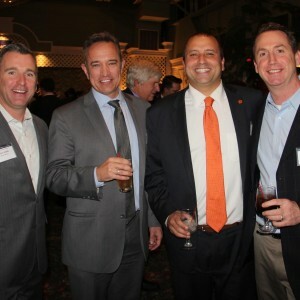 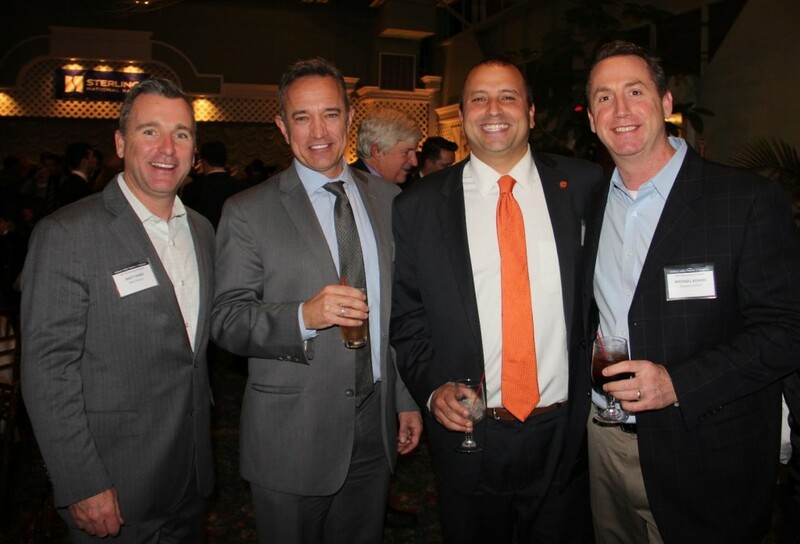 Pattern President & CEO Jonathan Drapkin with Orange County Exec. 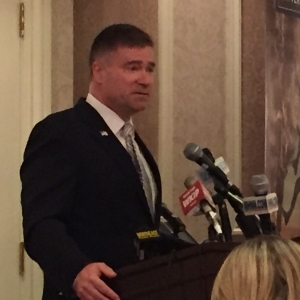 Steve Neuhaus, Ulster County Exec. 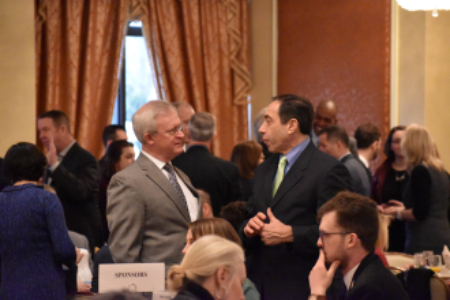 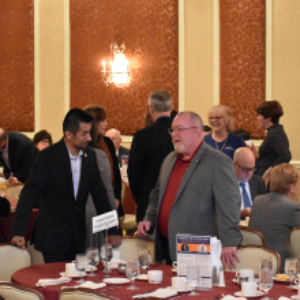 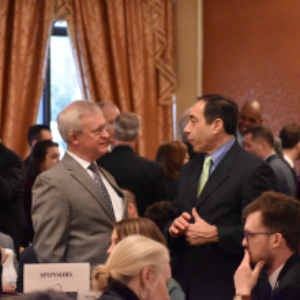 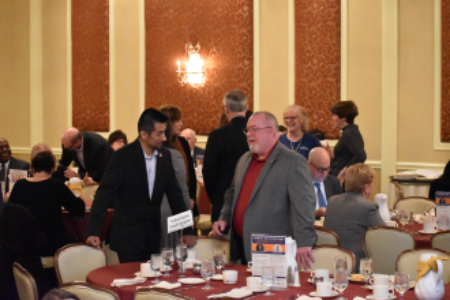 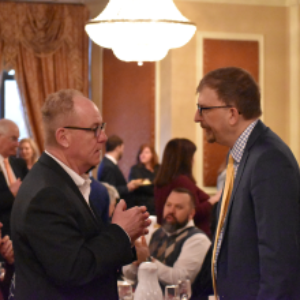 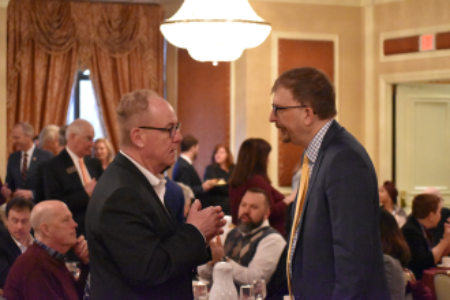 Mike Hein, and Sullivan County Legislative Chairman Luis Alvarez at the 2018 Northern County Leaders Breakfast. 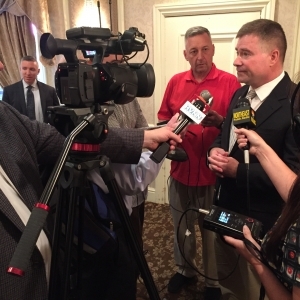 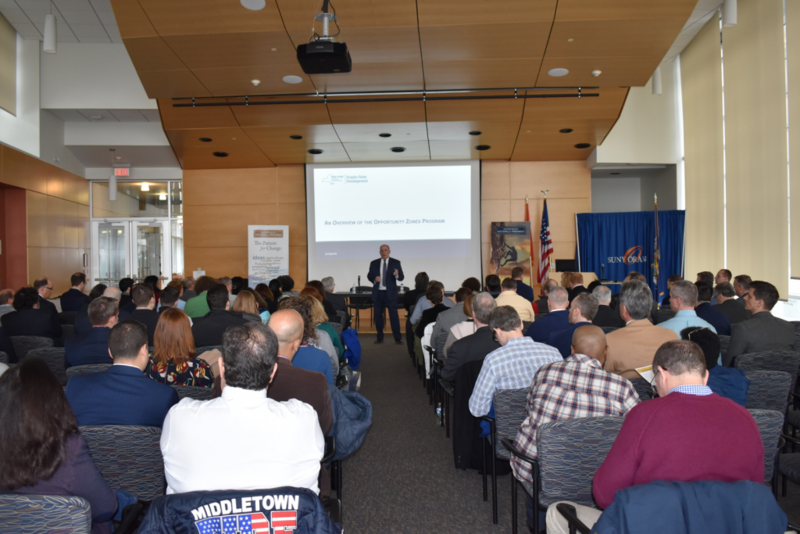 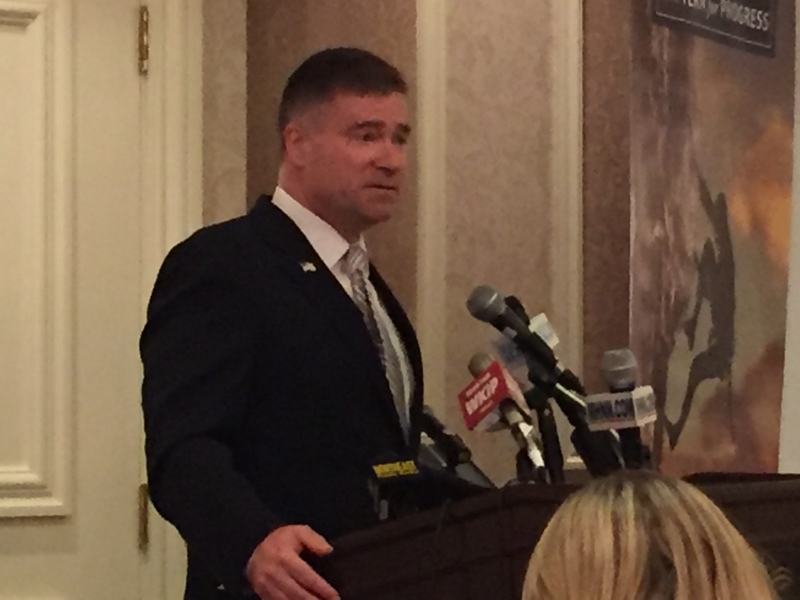 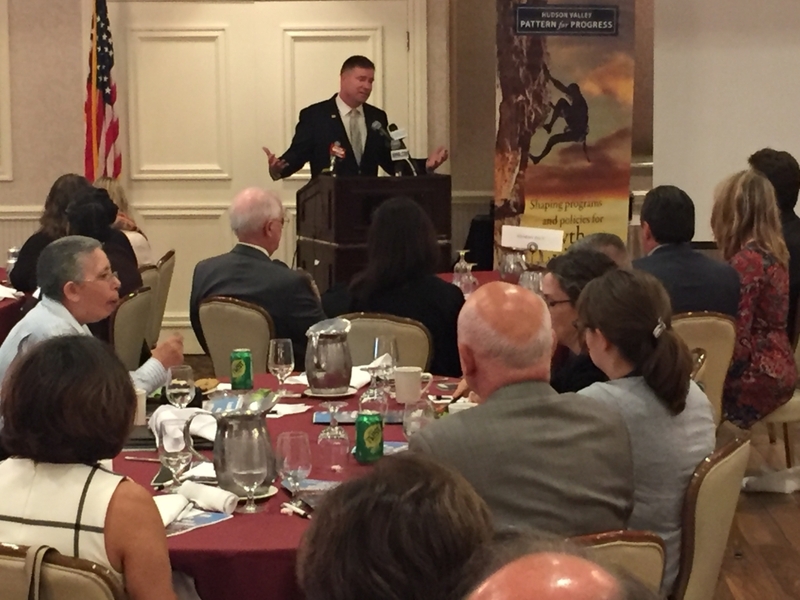 Ulster County Executive Mike Hein speaks at the 2018 Northern County Leaders Breakfast with Orange County Exec. 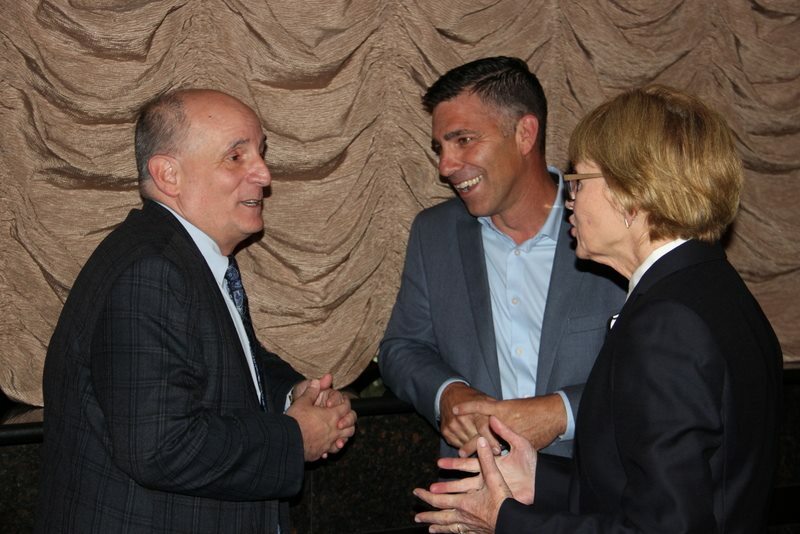 Steve Neuhaus, Sullivan County Legislative Chair Luis Alvarez, and Dutchess County Exec. 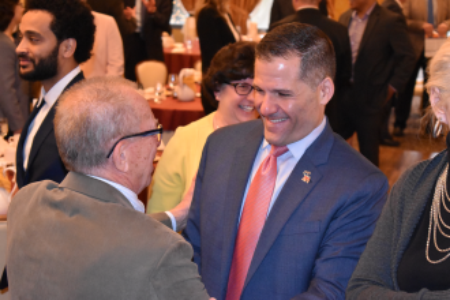 Marc Molinaro. 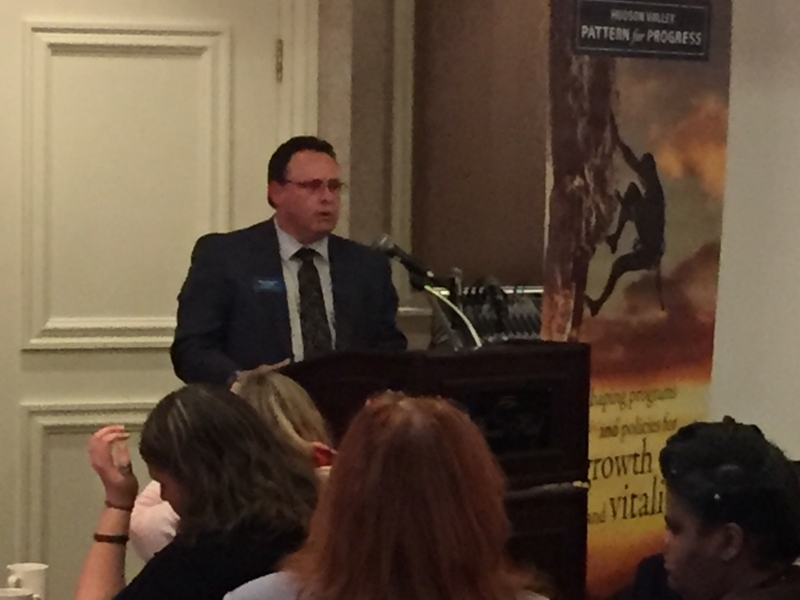 Pattern President & CEO Jonathan Drapkin moderated. 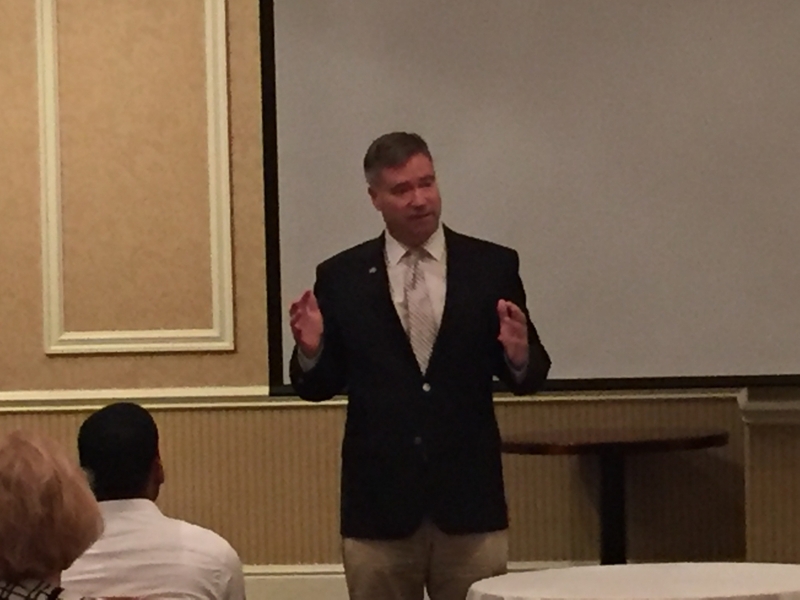 Chris Gibson address Fellows graduates. 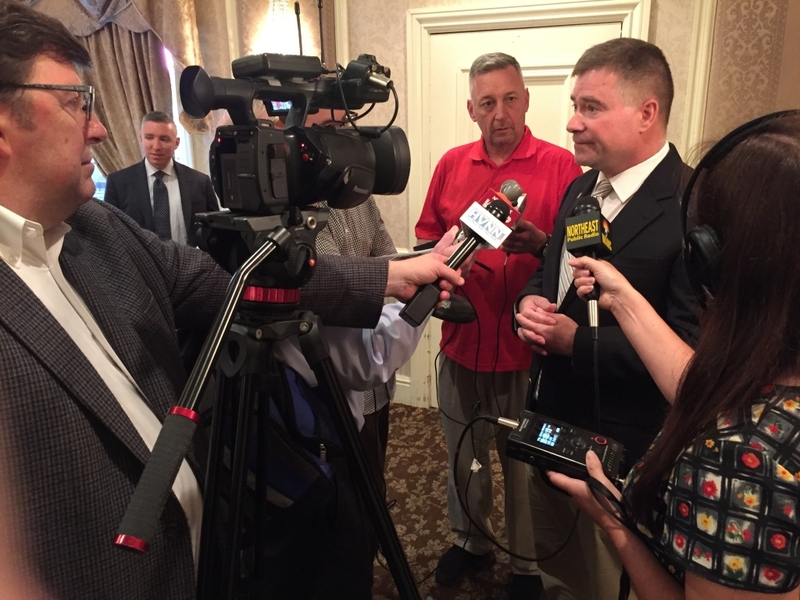 Chris Gibson meets the media after his keynote address during the Fellows graduation. 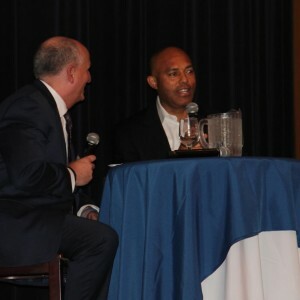 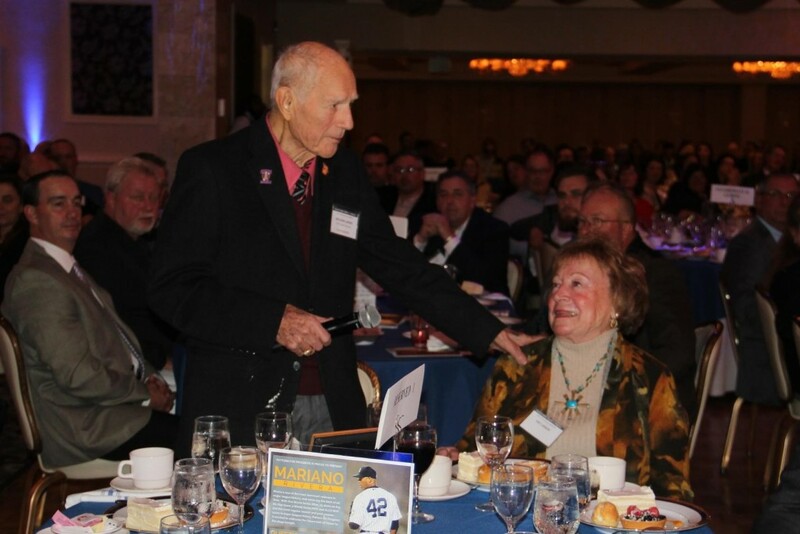 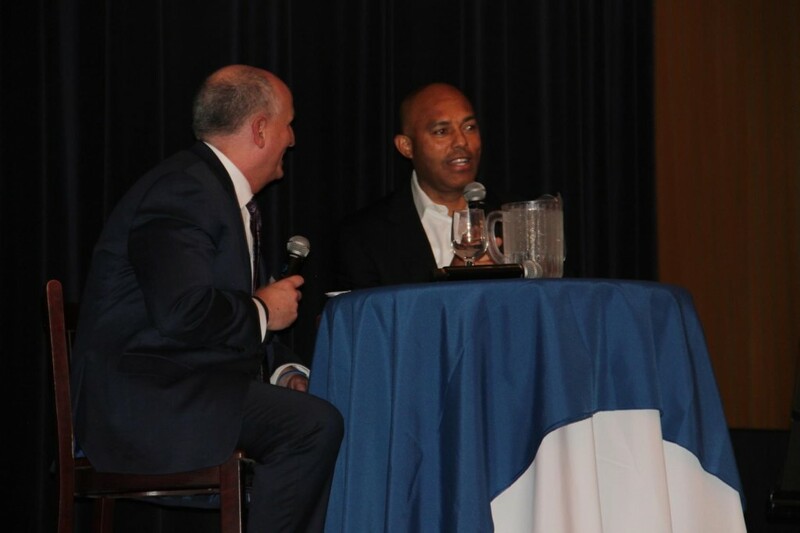 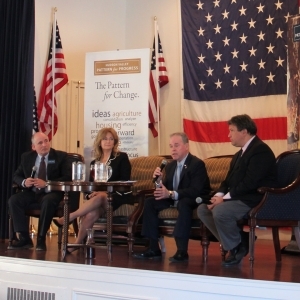 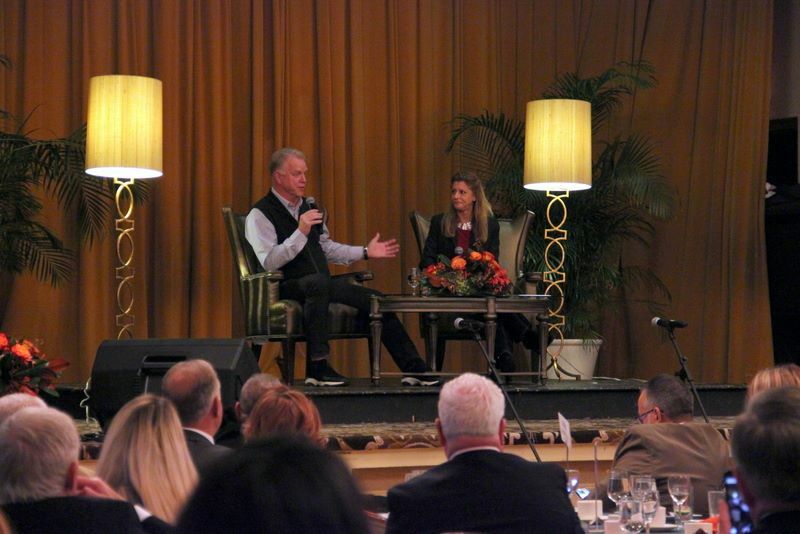 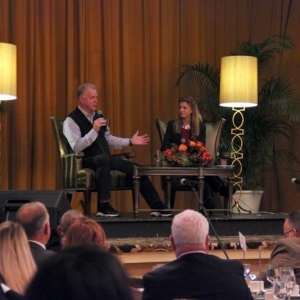 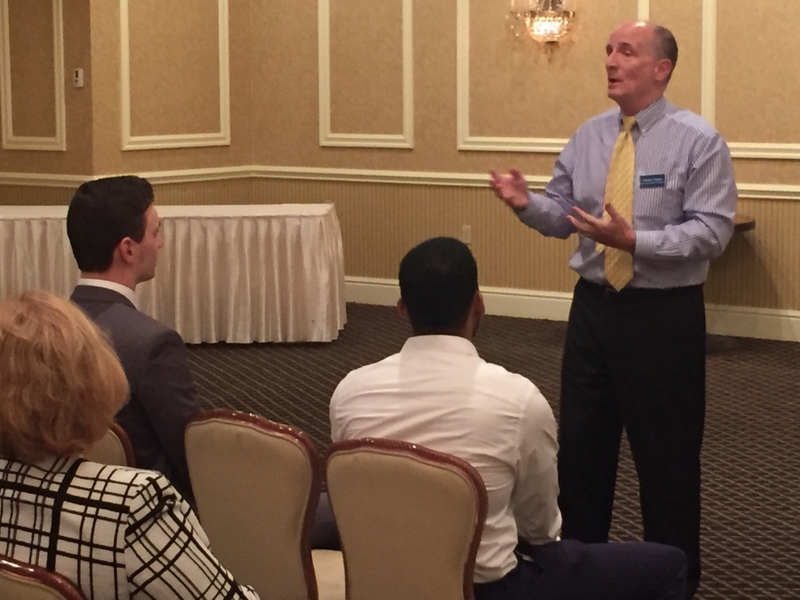 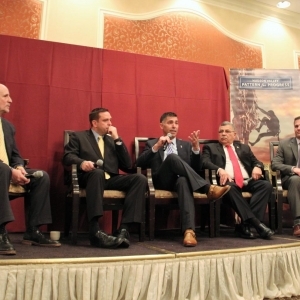 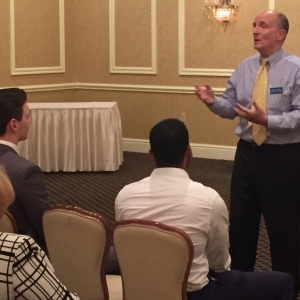 Gibson discusses the importance of leadership with Fellows graduates and an audience of 120. 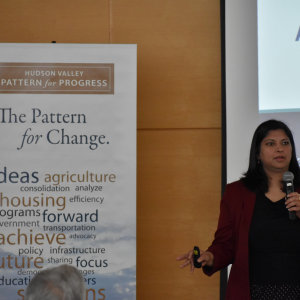 Teams of Pattern Fellows presented findings of their projects. 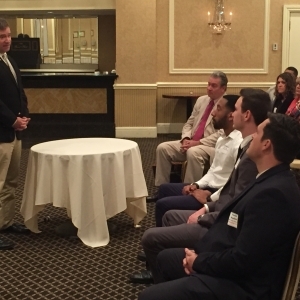 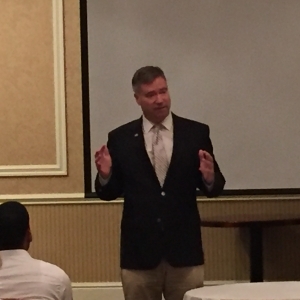 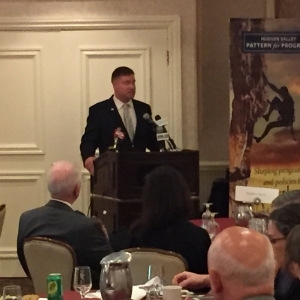 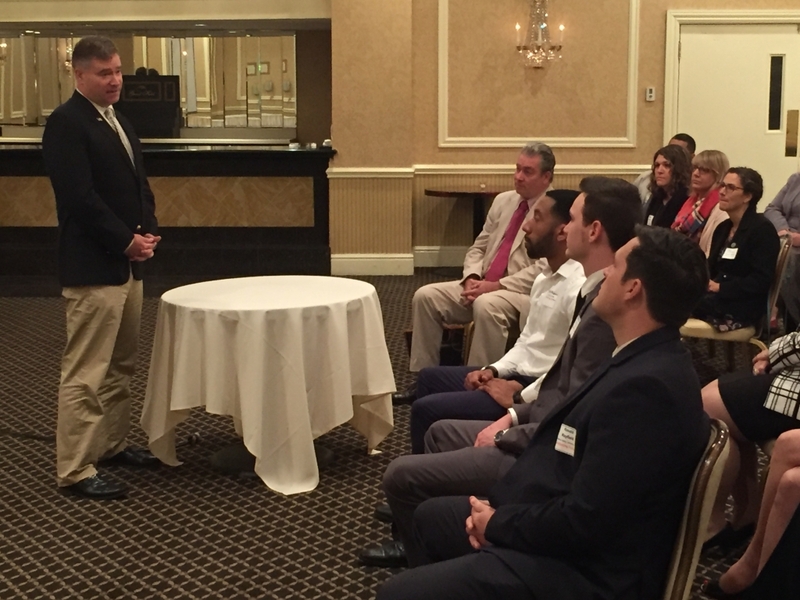 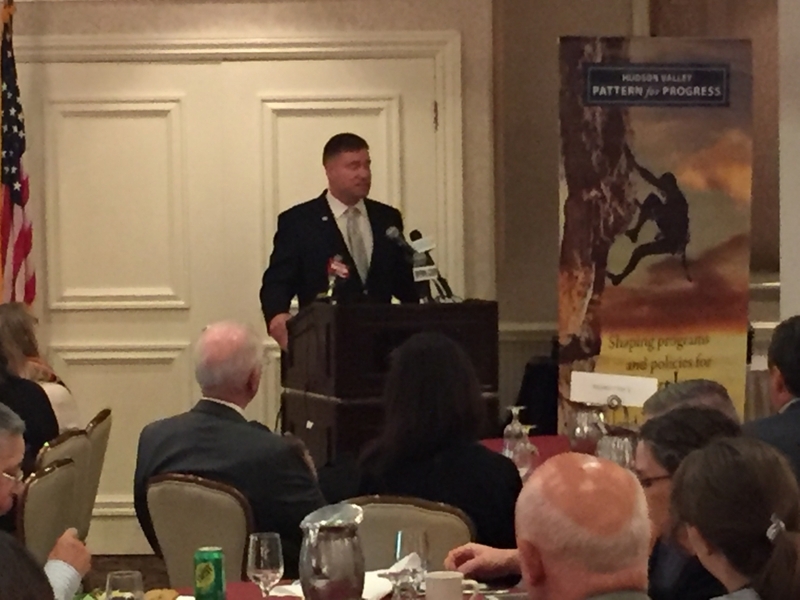 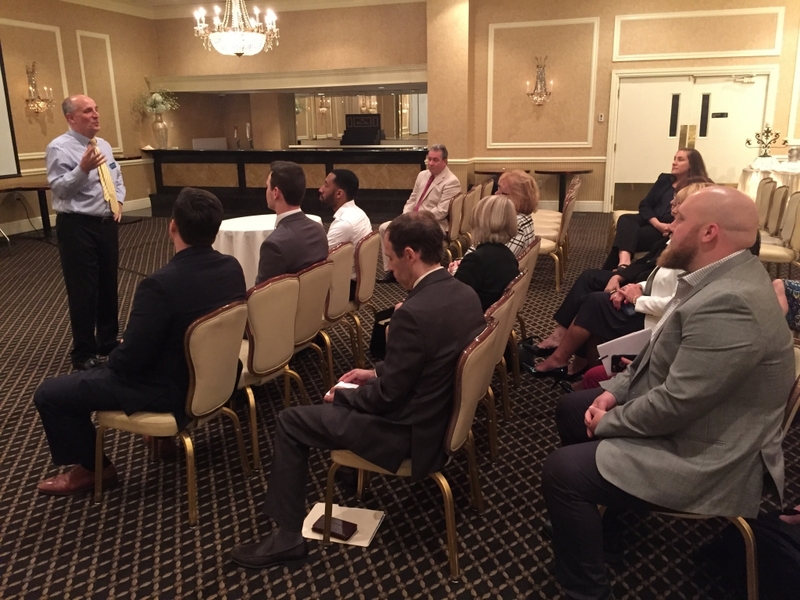 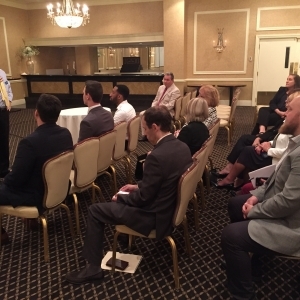 Former Congressman Chris Gibson address Pattern’s 10th anniversary Fellows Program graduates on leadership in June 2017. 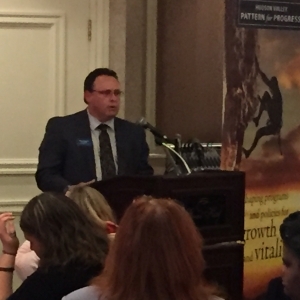 Pattern President and CEO Jonathan Drapkin addresses the new Fellows graduates. 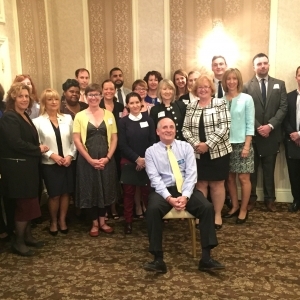 The Poughkeepsie Grand Hotel was the setting for the 10th anniversary Fellows graduation. 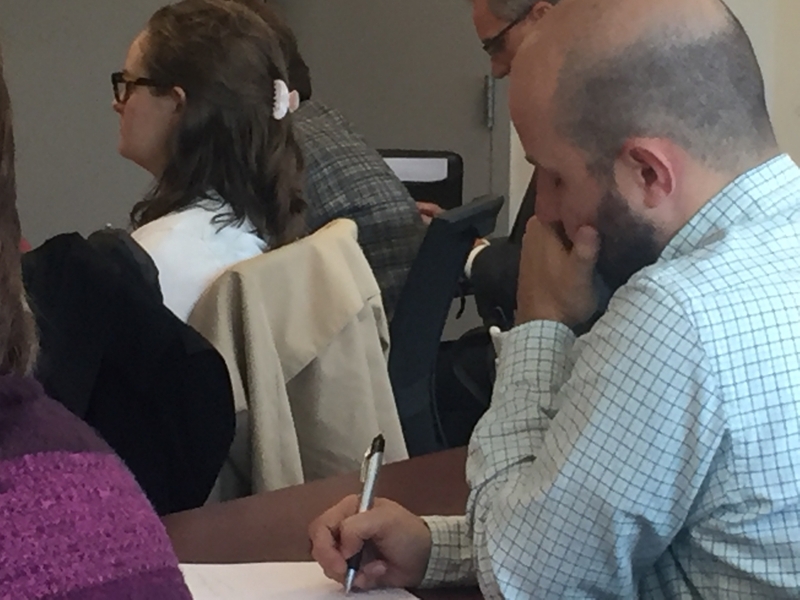 Mohonk Preserve’s Glenn Hoagland provided input on the Fellows’ ideas on sustainability. 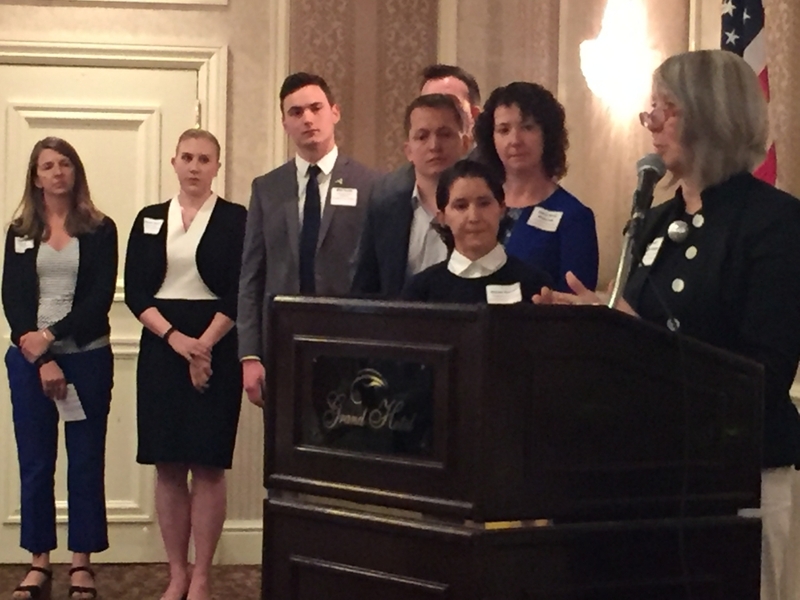 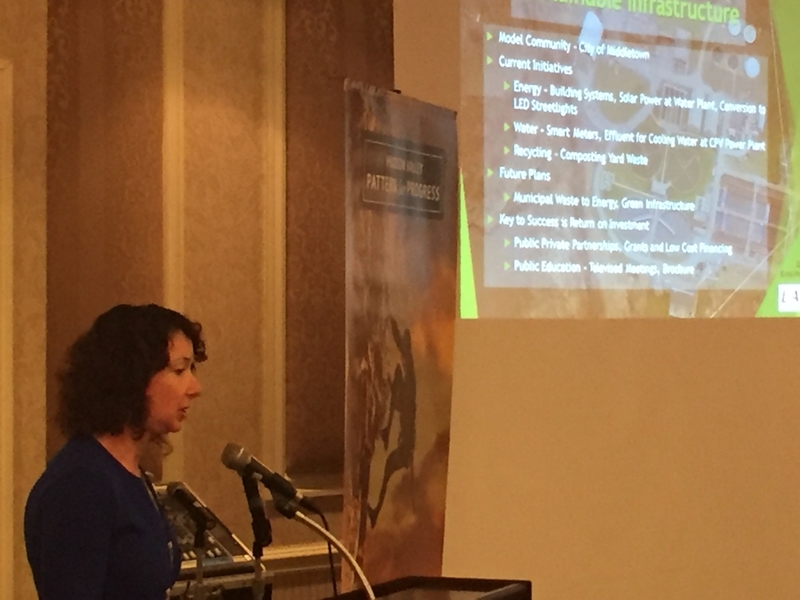 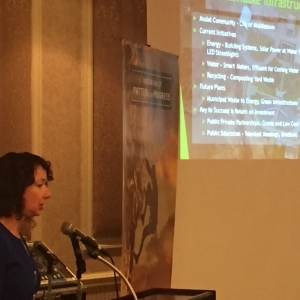 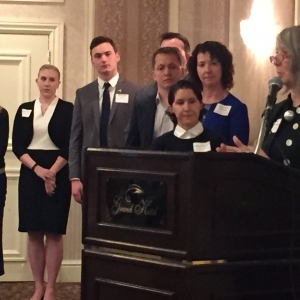 Delaware Engineering Partner Mary Beth Bianconi offers insights on her team’s research. 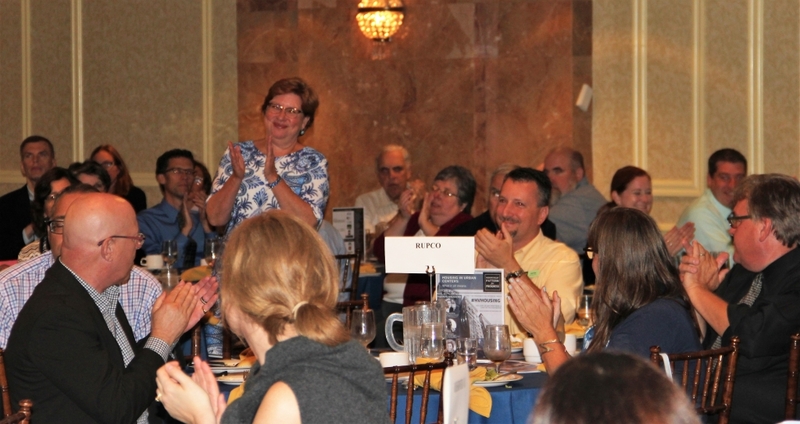 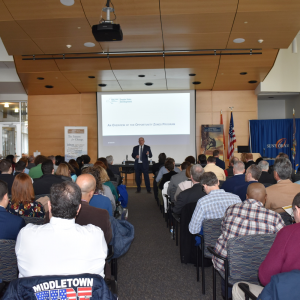 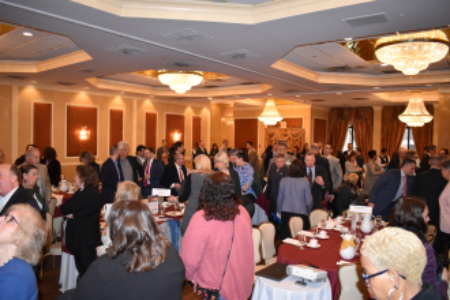 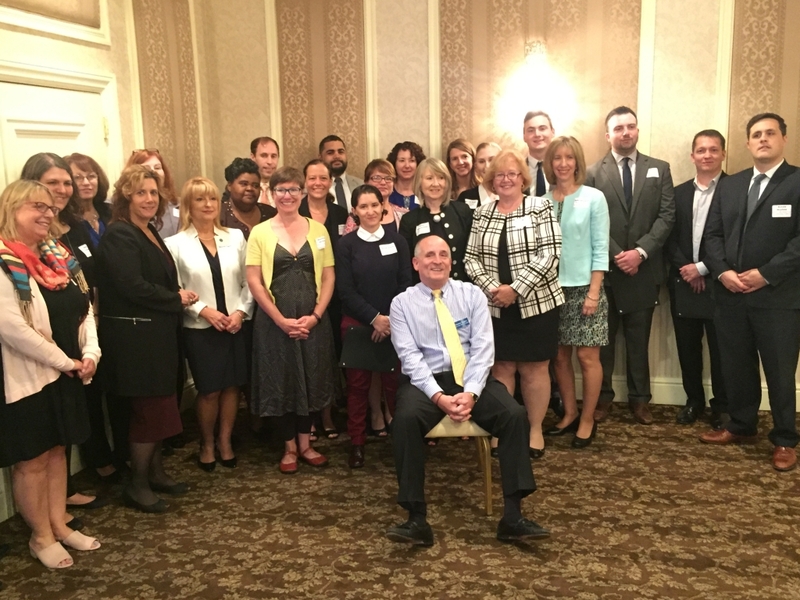 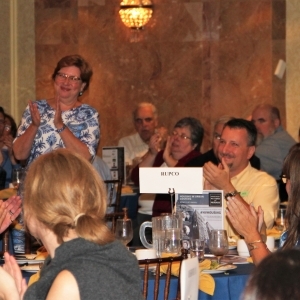 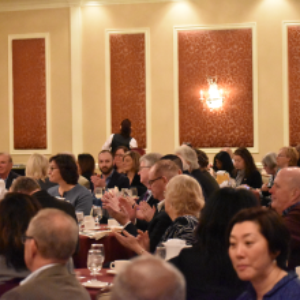 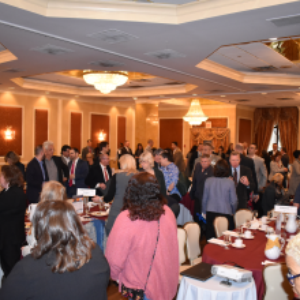 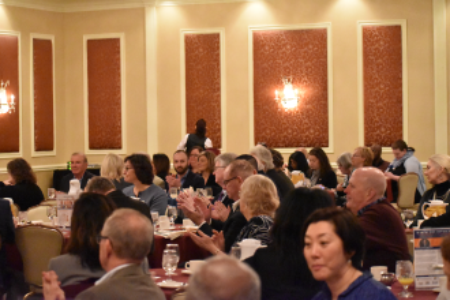 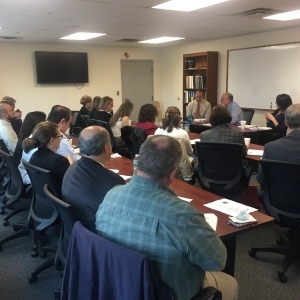 An audience of about 120 attended the Fellows graduation in June 2017 in Poughkeepsie. 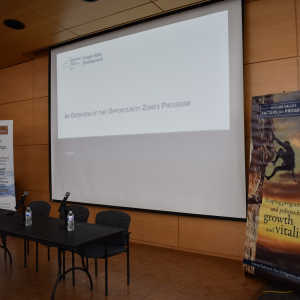 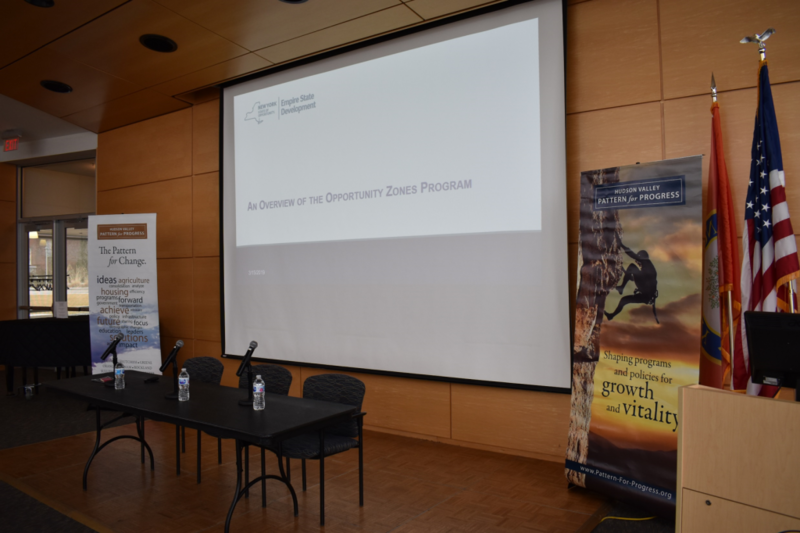 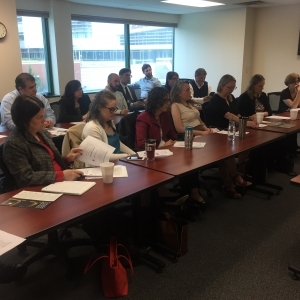 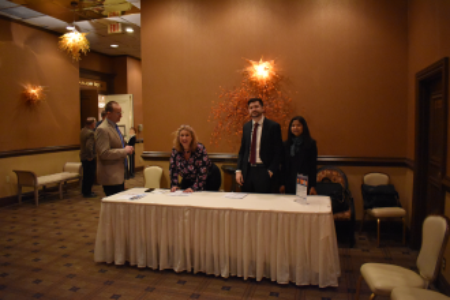 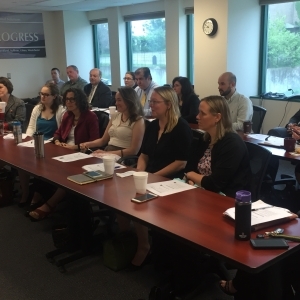 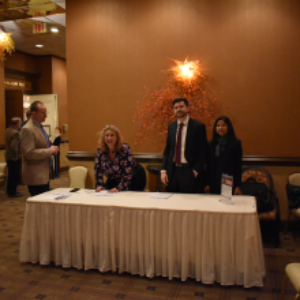 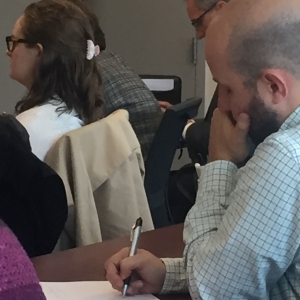 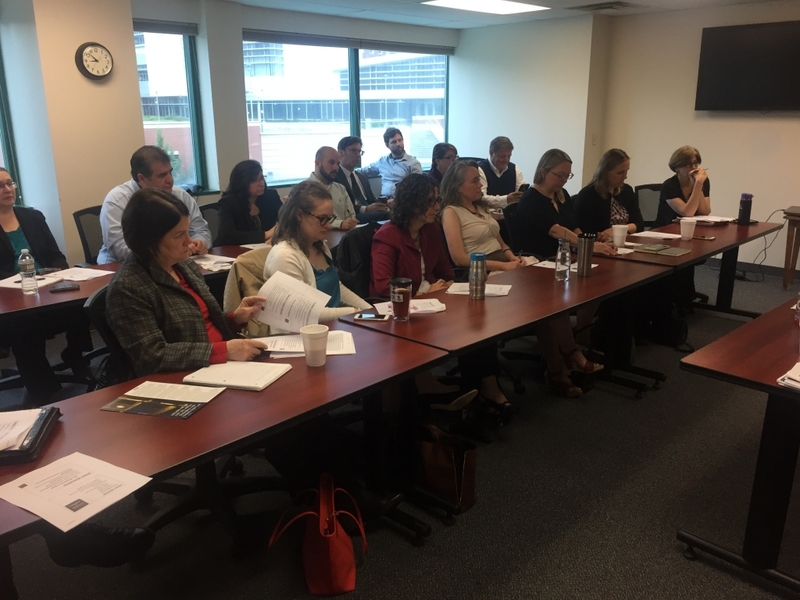 Pattern For Progress led a training program for municipalities and nonprofit representatives on how to apply for Community Development Block Grant and other types of funding to aid their communities. 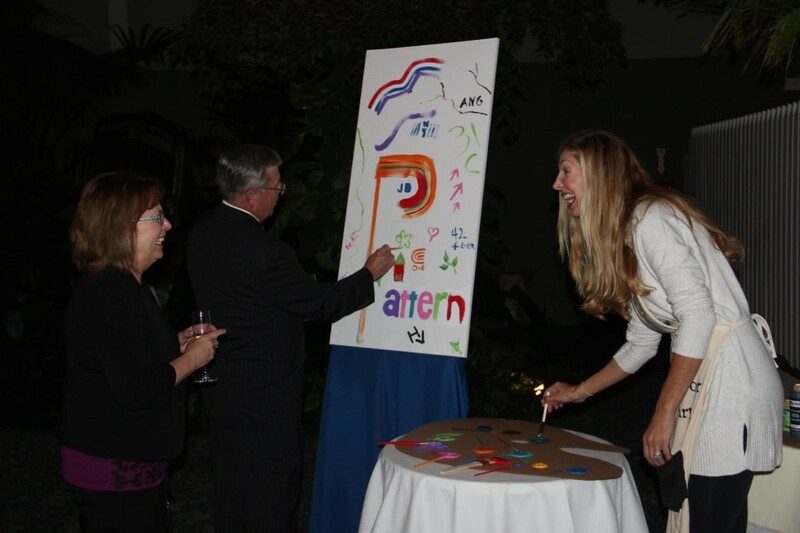 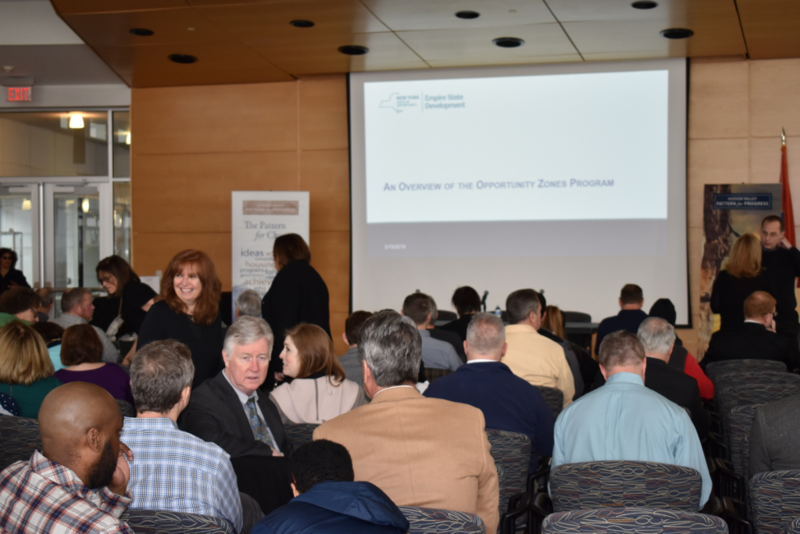 A crowd of about 20 attended the program, provided free by Pattern as a public service. 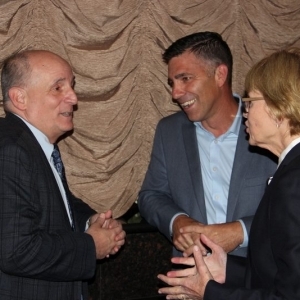 Pattern Senior Vice President Joe Czajka, left, who oversees Pattern’s Center For Housing Solutions and Urban Initiatives, and Pattern President and CEO Jonathan Drapkin. 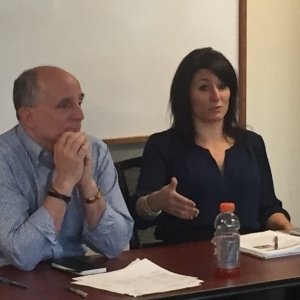 Pattern President and CEO Jonathan Drapkin, left, and Empire State Development Mid-Hudson Regional Director Meghan Taylor. 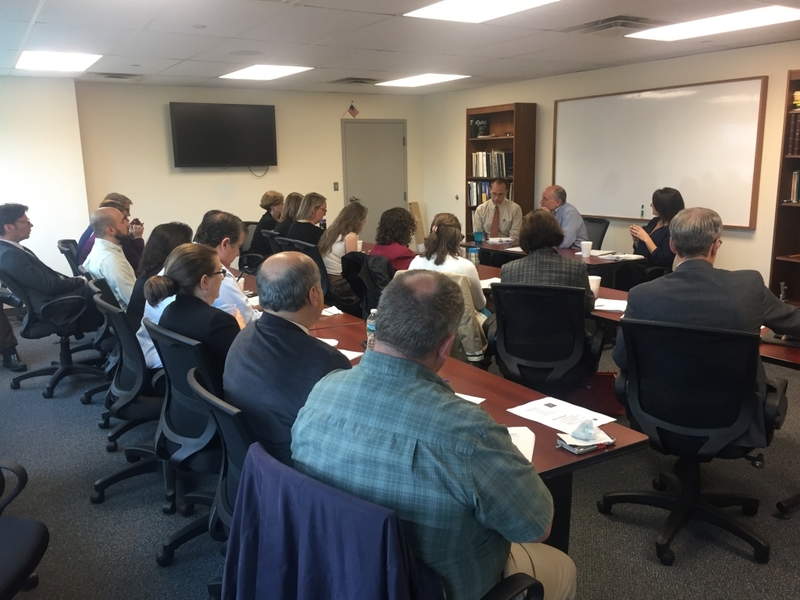 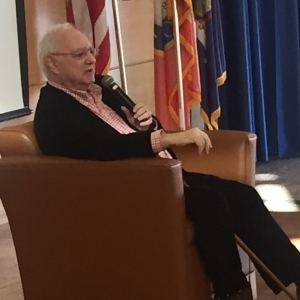 Author Louis Grumet discusses his book on the Hasidic community of Kiryas Joel with Pattern’s Board of Directors, winter 2017. 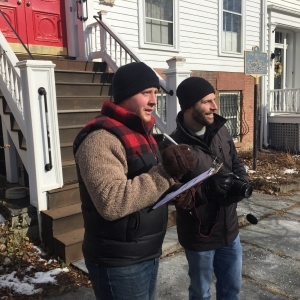 Pattern’s Calvin Wing, left, and Elijah Reichlin-Melnick conduct a building-condition survey as part of Pattern’s effort to create a Creative Neighborhood to revitalize a section of downtown Newburgh, winter 2017. 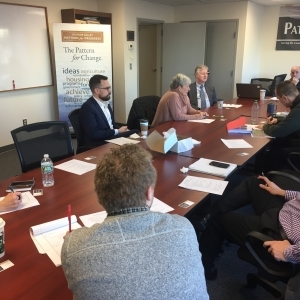 Pattern convenes quarterly meetings with mayors of small cities to aid collaborative best practices and strategic initiatives, winter 2017. 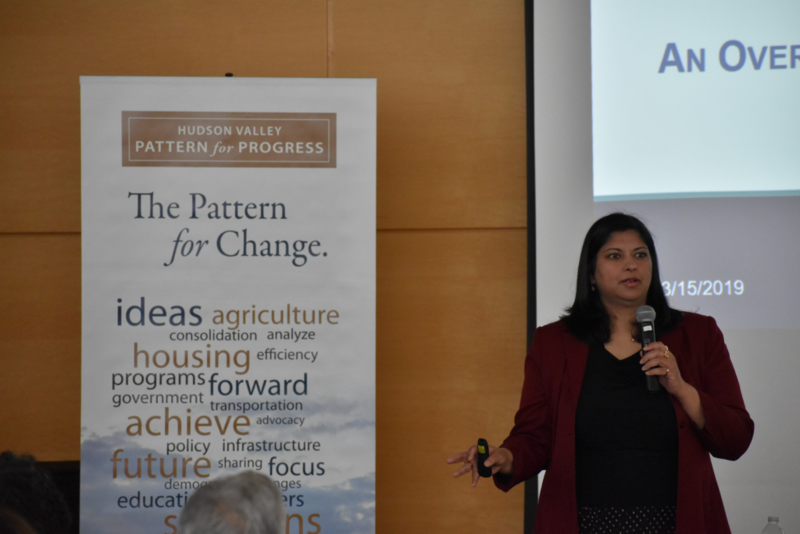 Working with community partners, Pattern’s focus on affordable housing is overseen by our Center For Housing Solutions and Urban Initiatives. 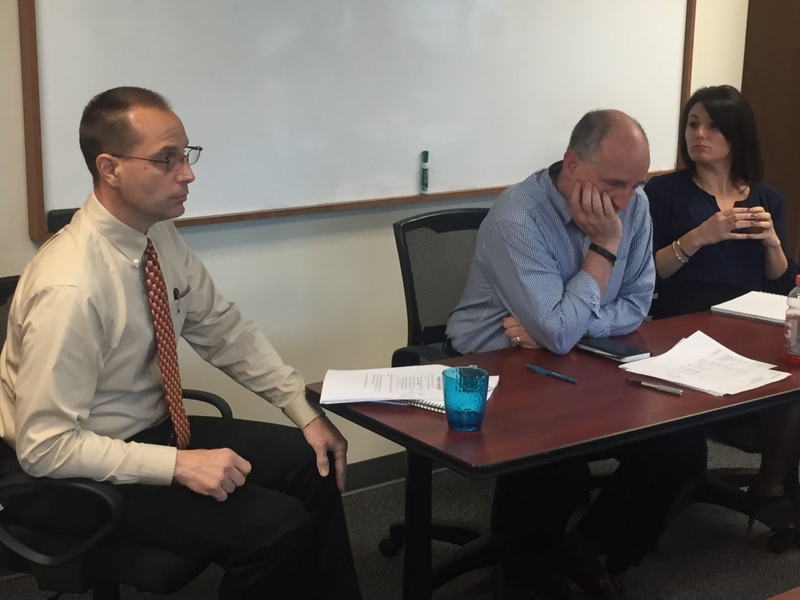 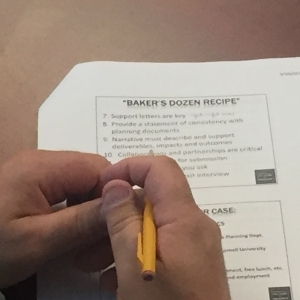 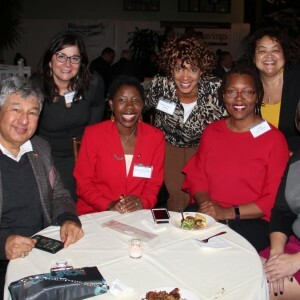 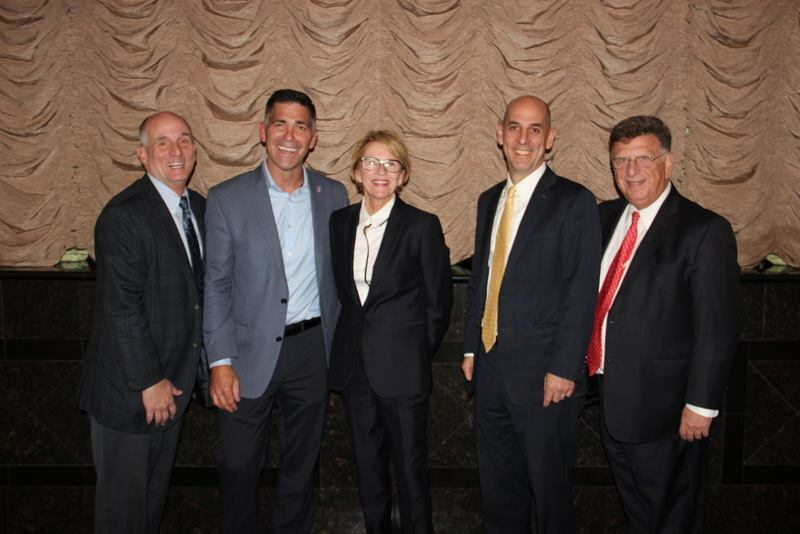 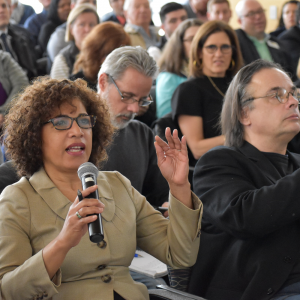 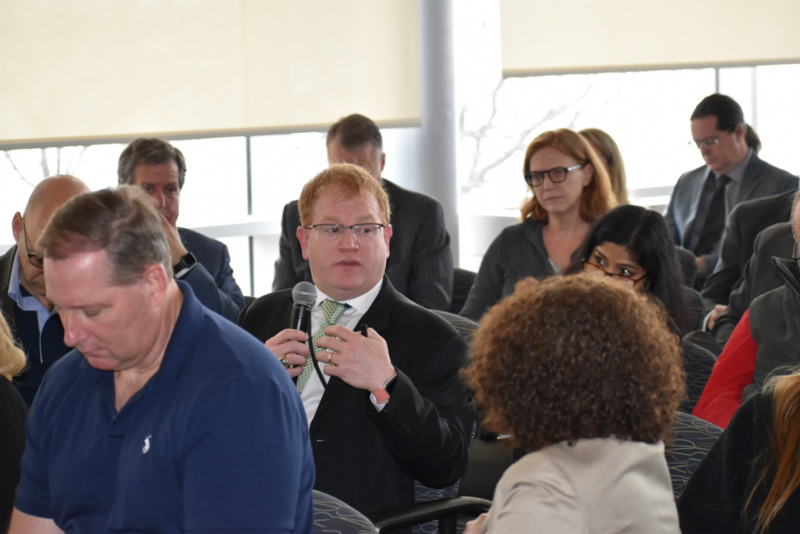 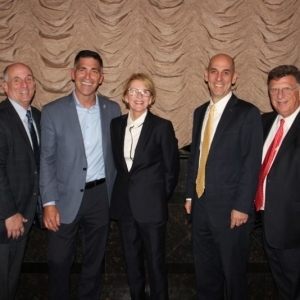 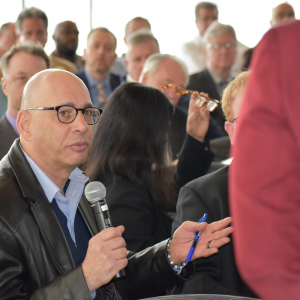 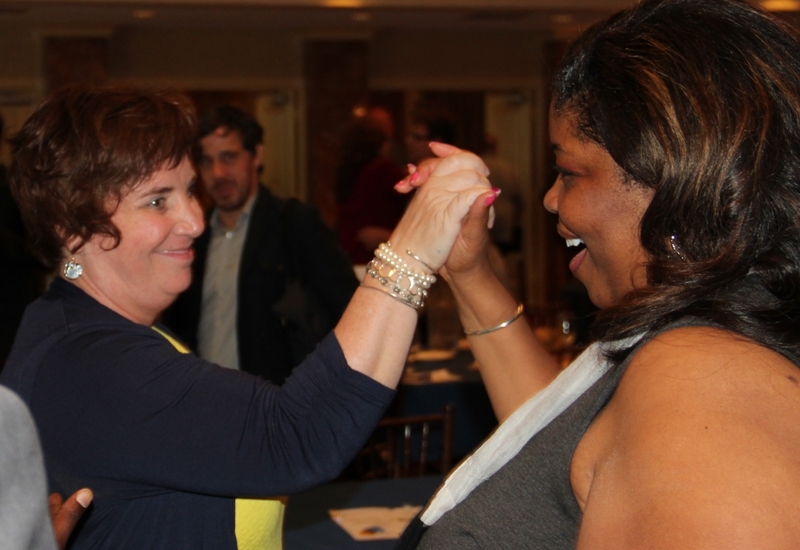 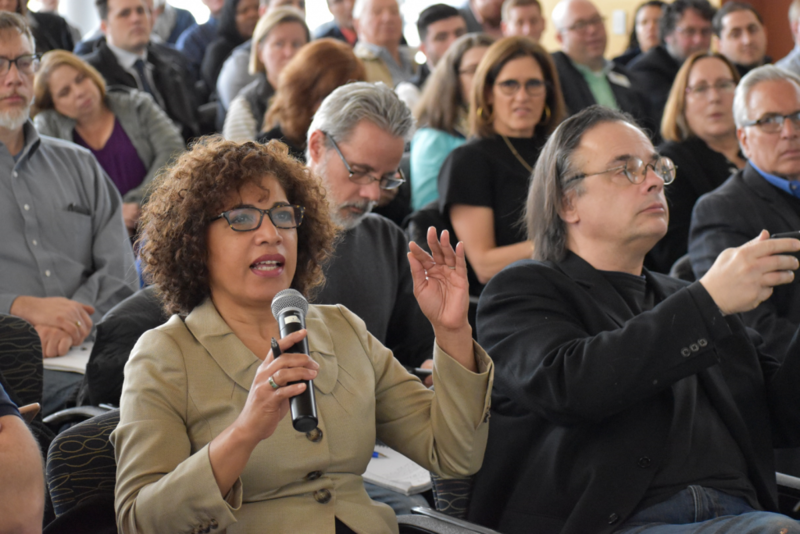 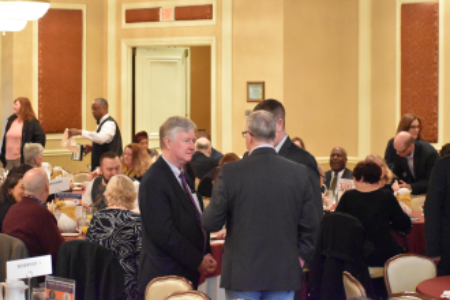 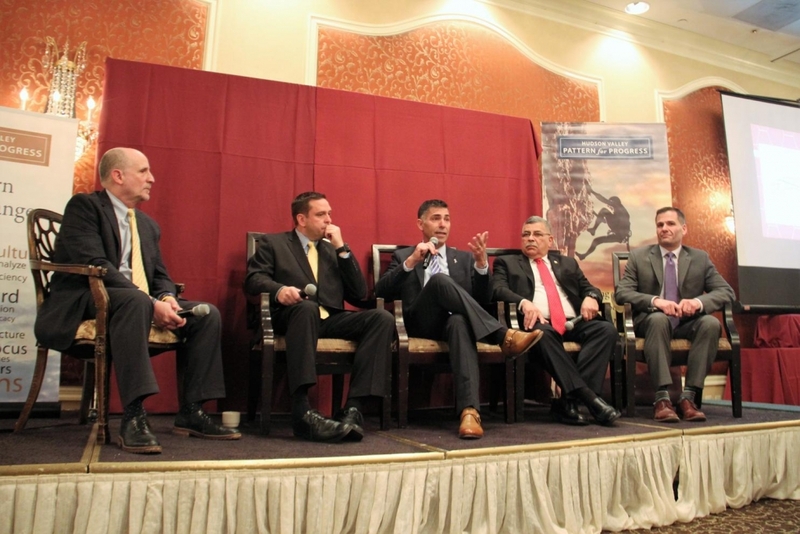 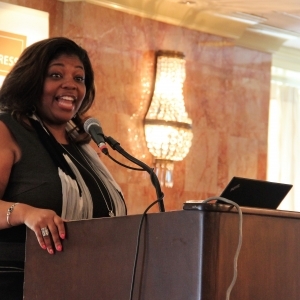 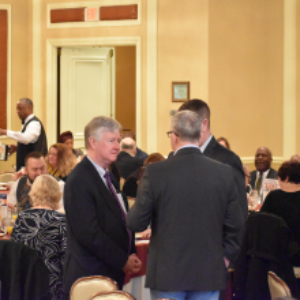 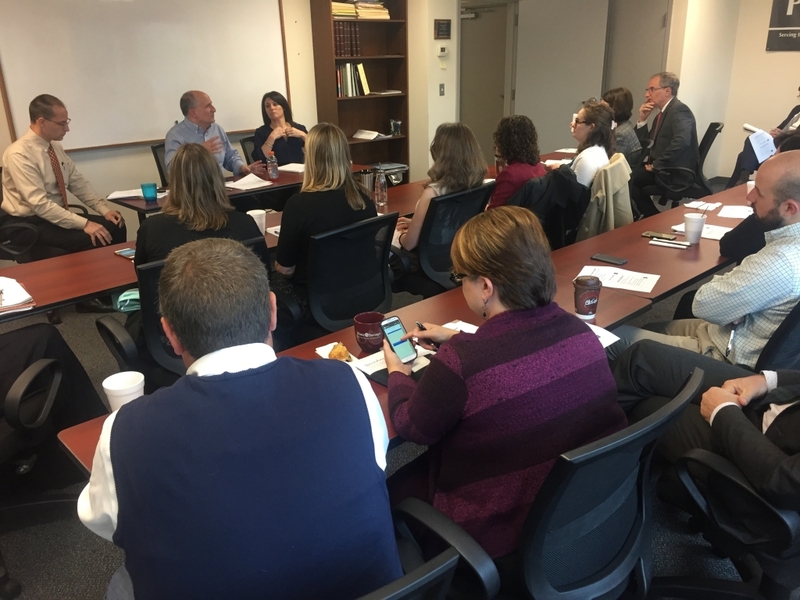 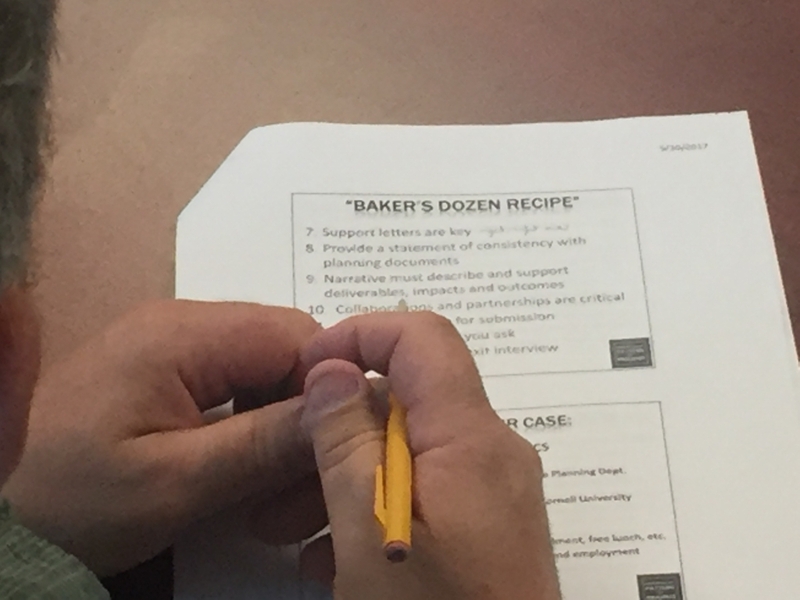 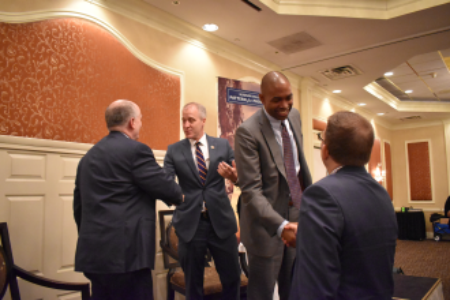 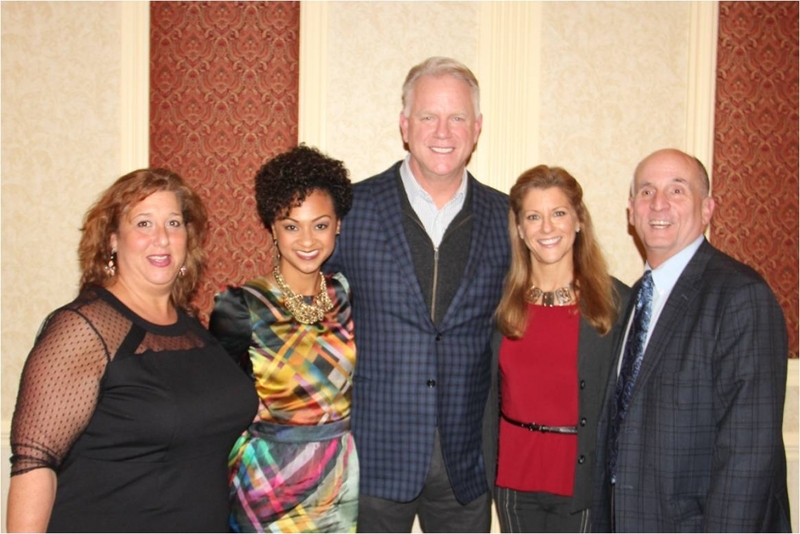 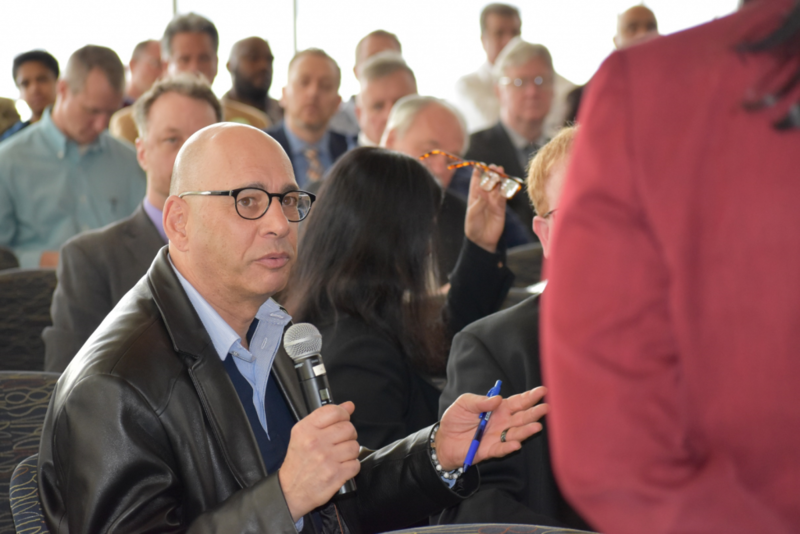 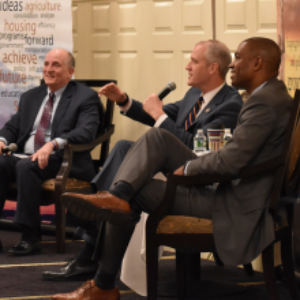 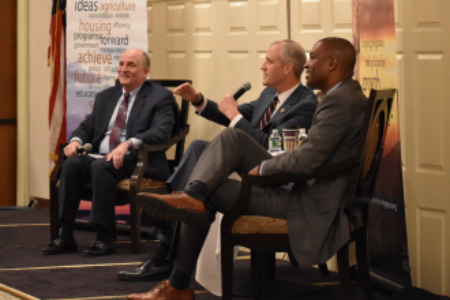 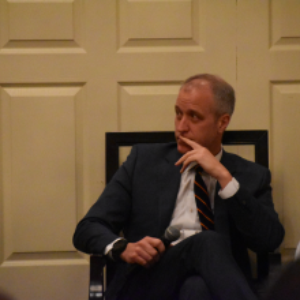 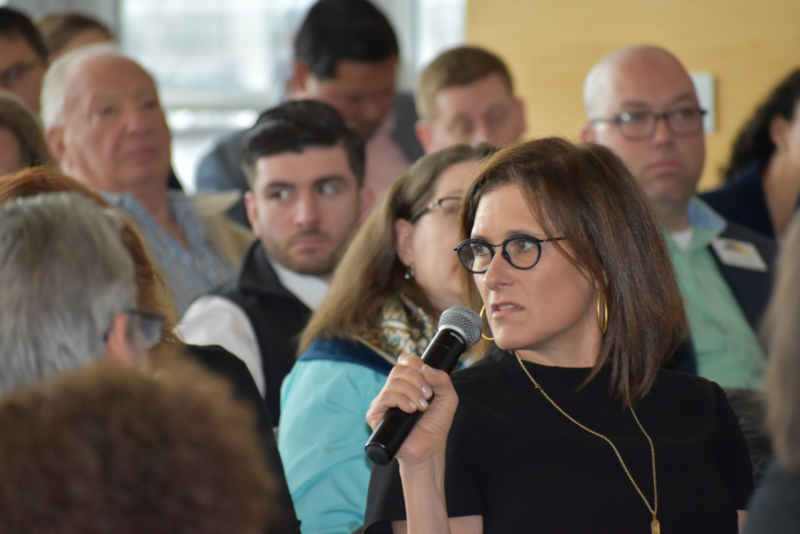 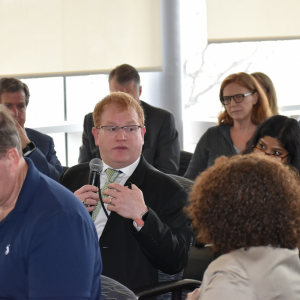 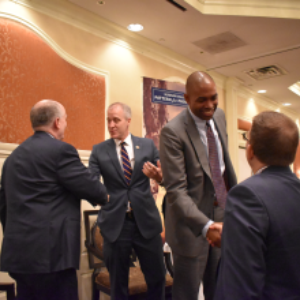 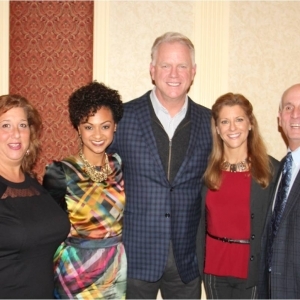 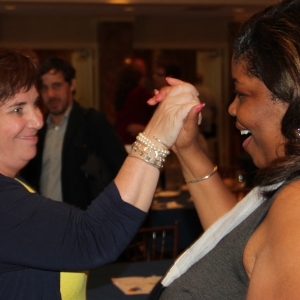 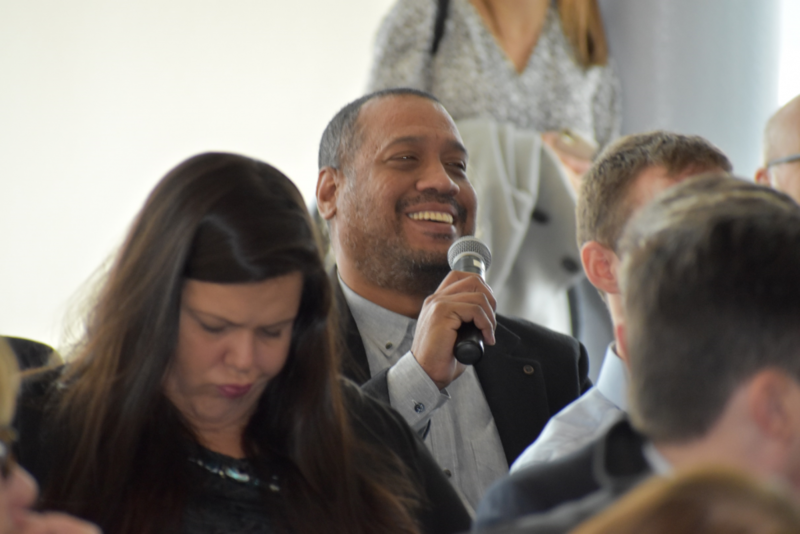 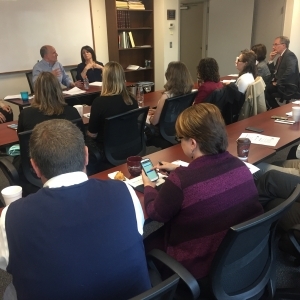 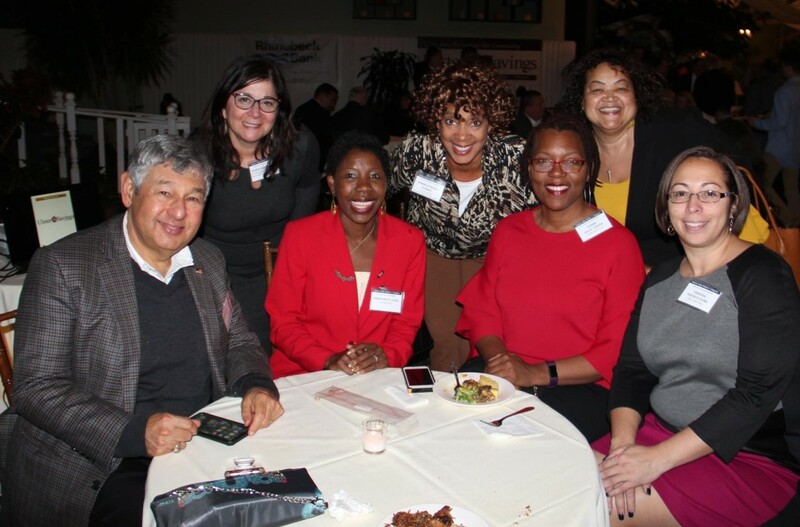 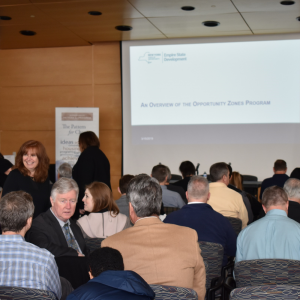 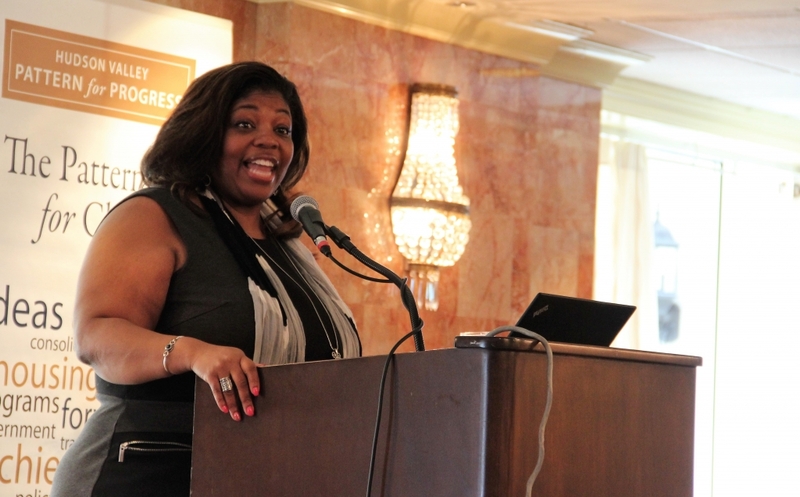 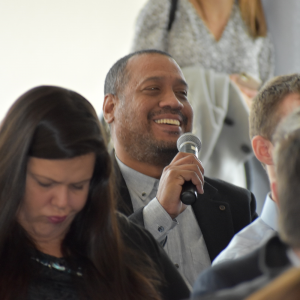 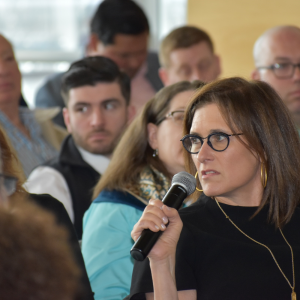 Superintendents of city and urban-area school districts help Pattern understand, during quarterly forums, how they tackle issues such as state funding, changing demographics and societal changes. 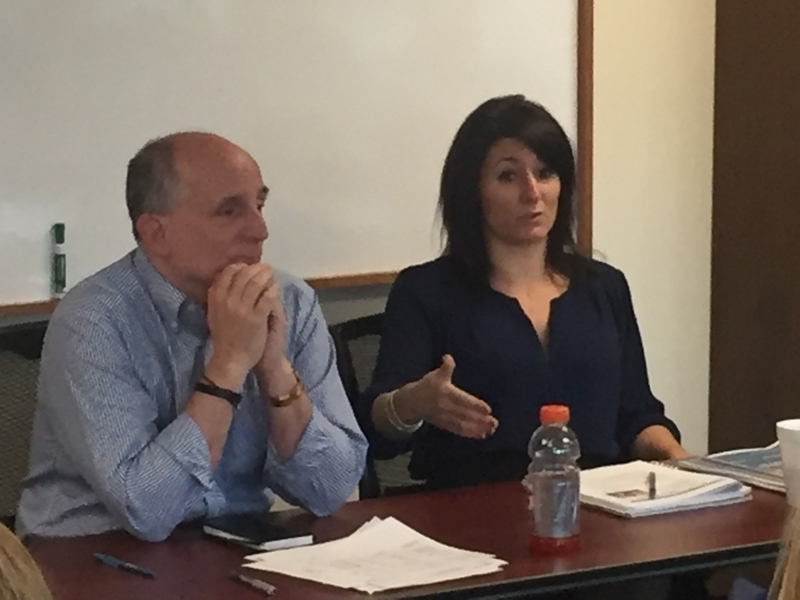 Pattern Deputy Director of the Center for Housing and Urban Initiatives Emily Hamilton, right, helped coordinate meetings regarding availability of funding and resources for entrepreneurs. 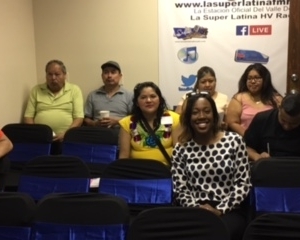 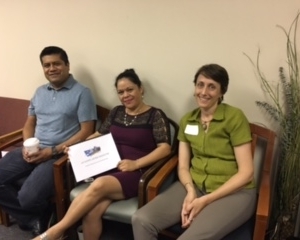 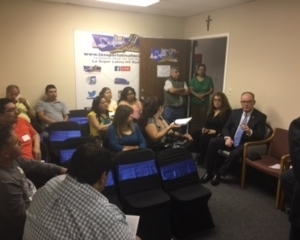 Representatives of several Hispanic and Latino businesses attended the session to learn about resources and funding available to them. 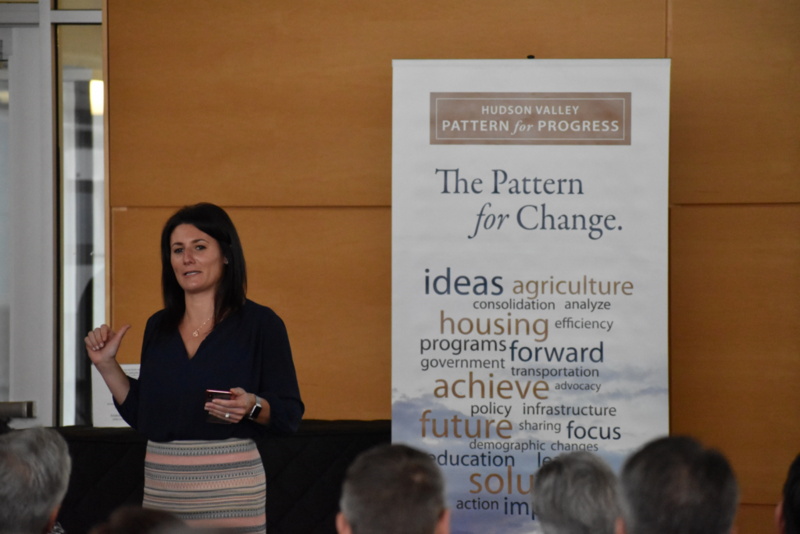 Pattern For Progress helped coordinate the meeting. 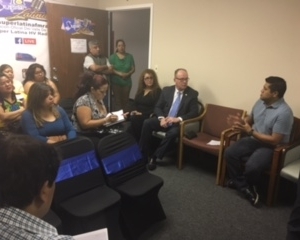 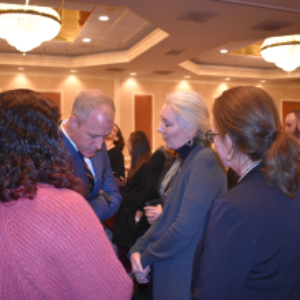 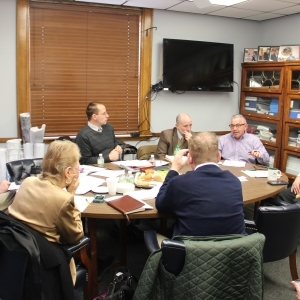 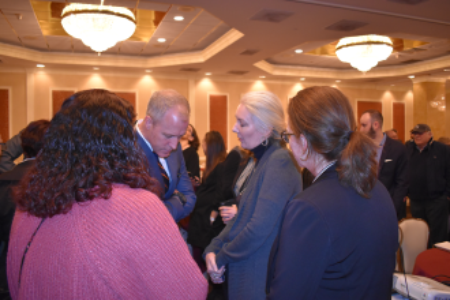 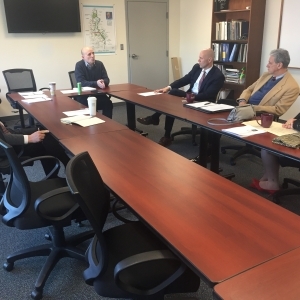 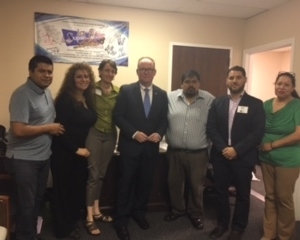 Poughkeepsie Mayor Rob Rolison, center, met with Hispanic & Latino entrepreneurs to help them understand resources and funding available to them. 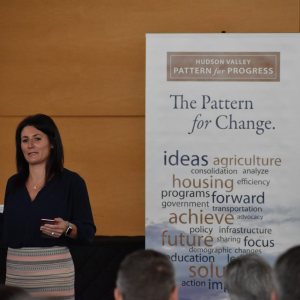 Pattern For Progress helped coordinate the meeting. 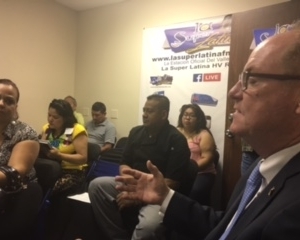 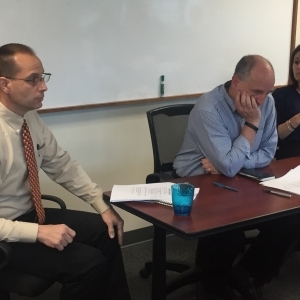 Poughkeepsie Mayor Rob Rolison, right, met with Hispanic & Latino entrepreneurs to help them understand resources and funding available to them. 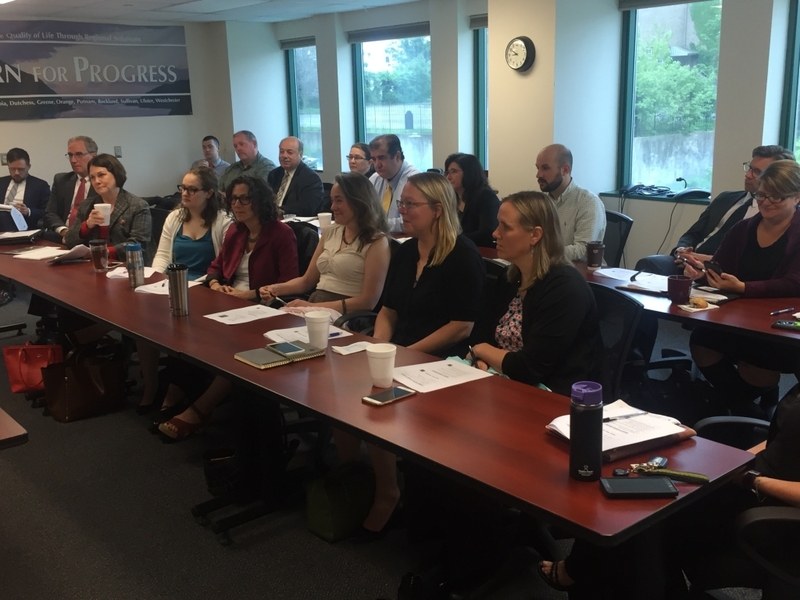 Pattern For Progress helped coordinate the meeting.